The breakeven formula depends on whether you have a call option or a put option. 1. What Happens to Stock Option Prices When the Stock Price Increase? Traditional investing in the stock market involves buying shares when the price is low and selling them when the price is high. However, there's an alternative way to make money: using stock options. Depending on the option you buy, you could make money when the price goes down or make money when the price goes up. Before you venture into option trading, you need to know how to figure your breakeven point. 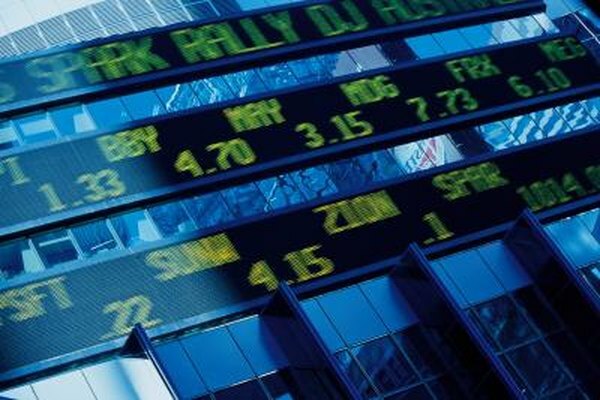 Options represent the right to buy or sell stock at a certain price, known as the strike price. Call options give you the right to buy a stock while put options give you the right to sell. So, call options are known as "in the money" when the stock's market price exceeds the value of the option while put options are in the money when the option's price is lower than the current market price. However, to figure your breakeven point, you have to include the cost of commission. Before you can start figuring the breakeven point, you must calculate how much the option cost to purchase. Then, figure the per-share cost by dividing the total cost by the number of shares you have the option to buy or sell. For example, say that you purchase an option to buy 100 shares of stock: the stock price is $50 per share and the option costs $1 per share plus a $20 commission. Your total cost is $100 for the options plus a commission of $20: $120. Then, since you can buy 100 shares, divide $120 by 100 to find your cost per option share is $1.20. If you have a call option, which allows you to purchase stock at a certain price, you calculate your breakeven point by adding your cost per share to the strike price of the option. The strike price on a call option represents the price at which you can buy the stock. For example, say you have a call option with a strike price of $50 and your cost per option share is $1.20. Adding $1.20 to $50 tells you that your breakeven price is $51.20. If you have a put option, which allows you to sell your stock at a certain price, you calculate your breakeven point by subtracting your cost per share to the strike price of the option. The strike price on a put option represents the price at which you can sell the stock. For example, say you have a put option with a strike price of $50 and your cost per option share is $1.20. Subtracting $1.20 to $50 tell you your breakeven price is $48.80. How Is the Pricing Determined for Stock Options? How do I Determine Whether to Buy Stock Options?